First General Services of Hartford and Eastern Connecticut provides 24/7 emergency property board up and roof tarping services. 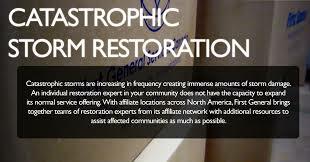 Our property damage repair services to residential and commercial customers throughout Connecticut. Our primary areas include Middlesex County, New London County, Windham County, Hartford County and Tolland County. We understand the devastating effects that unexpected fire damage, water damage, wind damage or storm damage has on homeowners and business owners, which is why we make our services available 24/7-365 days a year. The ever-changing New England weather can cause property damage resulting from heavy winds and rain, hurricanes, weight of ice and snow, as well as tornados. 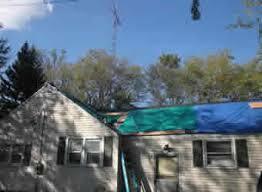 These catastrophic storms have the capacity for significant exterior and interior damage. The expert contractors at FGS of Hartford and Eastern Connecticut are prepared to respond to these events and have assisted thousands of customers overcome the distress associated with property damage claims. Upon initial visit, our technicians secure the property from further damage, by tarping the roof and boarding up windows and doors to prevent additional property damage or vandalism. Next, we complete a detailed estimate for repairs and begin the remediation process. From roofing and siding repair, drywall and flooring replacement to finished carpentry, our team works quickly to restore your property to its’ original state. We have been a leader in the construction industry, in Connecticut, since 1986. We also work closely with your insurance company and adjuster throughout the property damage claim process and we bill the insurance company directly.